One of the best, easiest and prettiest place to store your dogs food is certainly not in that oversized floppy bag — it’s in a cute canister! 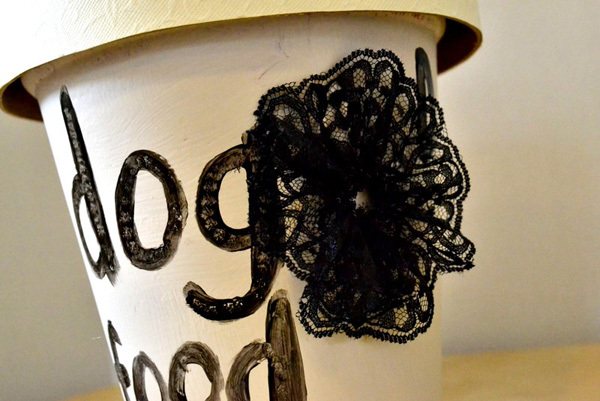 Some dog food canisters retail for up to $50, so instead of splurging on a store-bought one, make your own with this easy two-step tutorial. Not only will getting, pouring and accessing the food be easier, you won’t have to deal with those unsightly bags anymore. The greatest thing about this project is that it doesn’t require any super-fancy equipment as many other tutorials require. 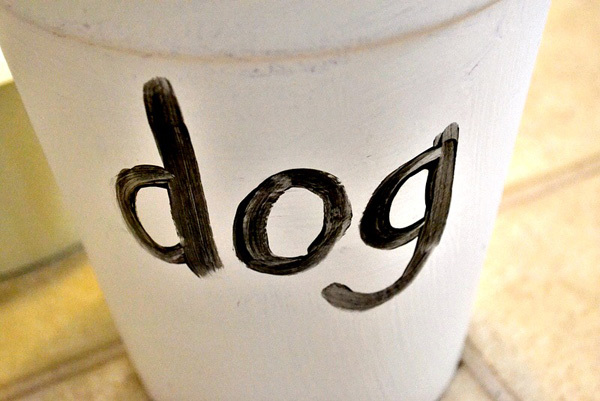 Plus, you can completely customize this canister with your dog’s name, the colors of the pails and ribbons and paint. Your dog is unique, so give him a food container that matches his personality. Place the canister or pot on old newspaper/old magazines. 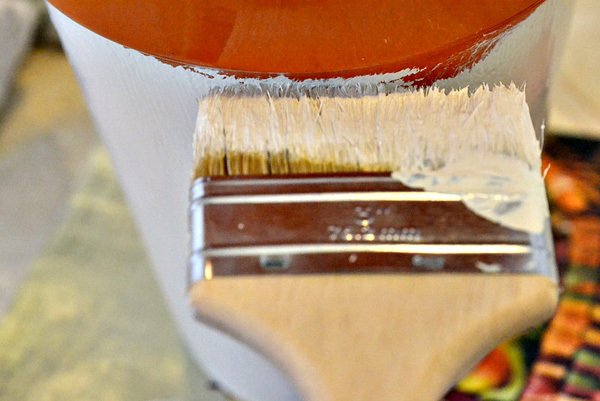 Using the chipper brush, paint the entire canister, using multiple coats if necessary. Let dry completely (about an hour). 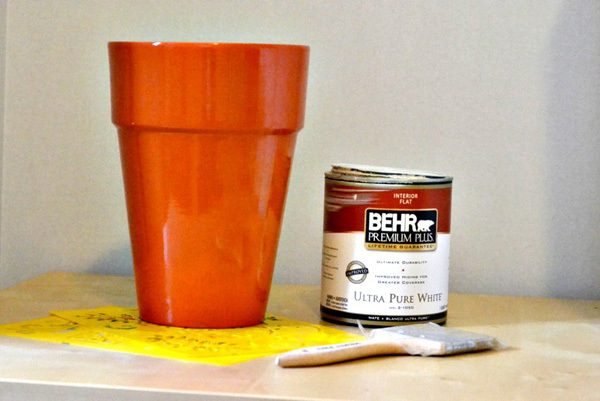 If you are using a plain cardboard hat box, paint it, then let it dry. 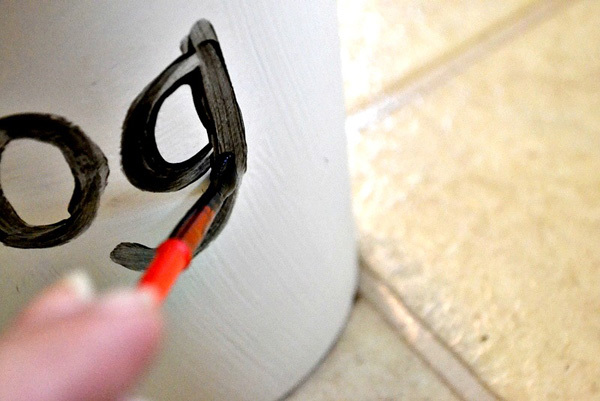 Once your canister or pot has dried, you can write on it. 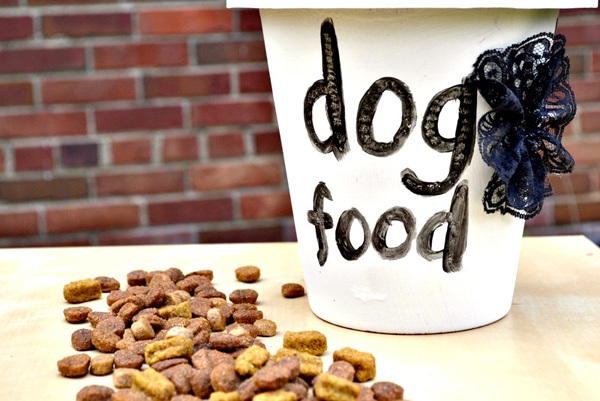 I chose to write “dog food” in black paint, but you can certainly write your dog’s name or anything else that strikes your fancy. If you’d prefer letter stencils, you can buy these at Amazon for $5. 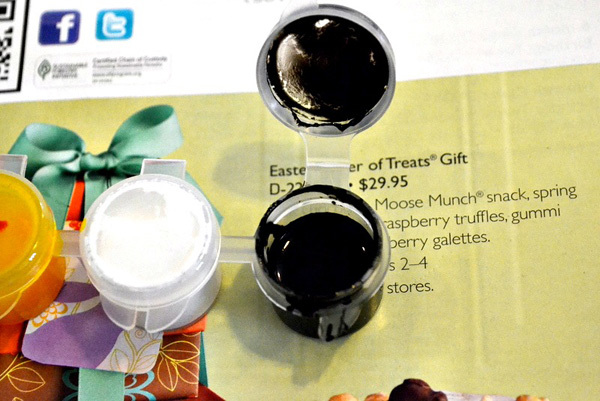 Let your paint dry at least 30 minutes before you continue to decorate. 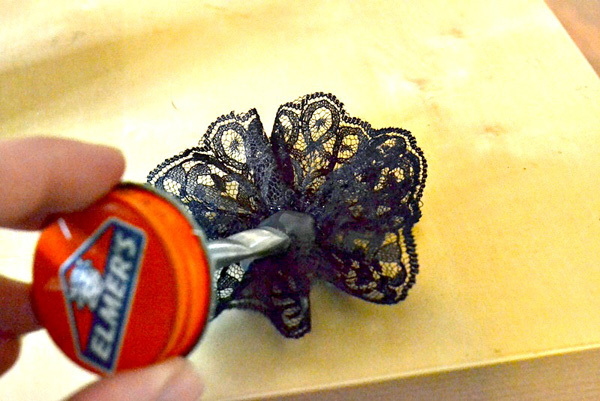 Once the paint has dried, get your glue and dab a bit onto the back of the fabric flower. Hold the flower in place so it stays. Let the glue dry for about 10 minutes. I added another flower to the left side of the hat box, but you can use as many or as few flowers as you like (or even none, especially if you have a boy dog). 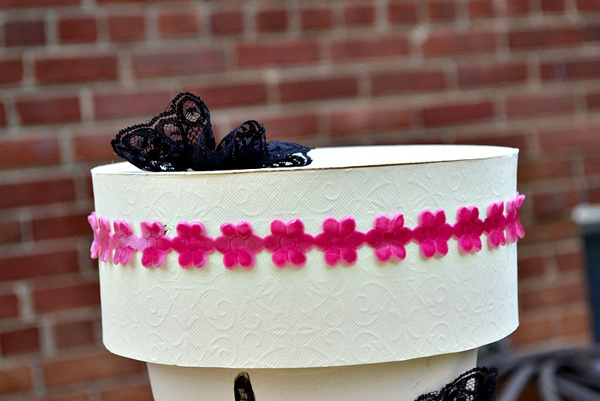 Then I tied a pretty pink ribbon around the perimeter of the hat box to add some color. Fill the canister with dog food and you have an adorable, fully functioning food container for your favorite fur baby!